While our June 2018 special report, “Blueprints for a Miracle,” covers many of the key sources of greenhouse gases and strategies for their mitigation, the report does not address three rather substantial sources. The production of cement—the primary component in concrete—accounts for about 5 percent of global carbon dioxide emissions. Iron- and steelmaking contributes a similar amount [PDF]. The use of natural gas (methane) in place of oil or coal reduces carbon emissions, but methane itself is a potent greenhouse gas, and a considerable quantity leaks into the atmosphere during its production and transport. Estimates suggest that such leaks are comparable in their climate effect to those of cement production or iron- and steelmaking. Here’s a quick take on what might be done to limit these three sources. The Problem: Copious quantities of CO2 are emitted during the conversion of limestone (CaCO3) to lime (CaO), a key ingredient in cement. That conversion is done in a kiln [yellow], which is heated by burning fossil fuels, a process that emits still more CO2. Low-Tech Solution: Use less lime and replace it with fly ash, a by-product of burning coal. The ancient Romans did something similar, using volcanic ash in their pozzolana concrete, examples of which have lasted thousands of years. High-Tech Solution: Add liquefied CO2 captured from power plants to wet concrete, where it will form tiny crystals of calcium carbonate, effectively sequestering the carbon and keeping it out of the atmosphere indefinitely. The Problem: Converting iron ore to iron—the principal component of steel—requires coal, which serves as a reducing agent and provides the necessary heat as it is burned in a blast furnace [yellow]. That combustion releases large amounts of CO2 into the atmosphere. Low-Tech Solution: The simplest way to reduce these emissions is to recycle more steel, thus diminishing the need to mine iron ore and convert it to iron. Steel is often recycled now, but even more could be reused. High-Tech Solution: If sufficient renewably sourced electricity is available, iron could be extracted from iron ore by electrolysis, thereby avoiding carbon emissions. Electrolysis is similarly used today at aluminum smelters. The Problem: The infrastructure used in the production and transport of natural gas is prone to leaking if it is not properly maintained. 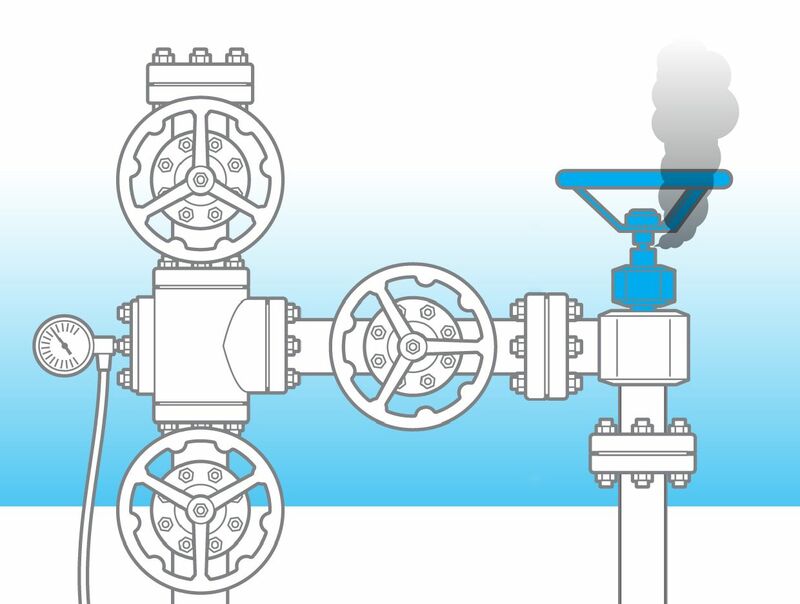 Low-Tech Solution: The natural-gas industry could be more diligent in its routine checks for leaks in the equipment it uses, even in settings where such gas leaks don’t create a risk of explosion. High-Tech Solution: Laser-based systems can be used to monitor for leaks at a distance. One company pursuing this technology is LongPath Technologies, a spinoff from the University of Colorado, Boulder.